How you prep your nails will have more impact on your mani's lasting power than the polish itself. Removing any excess cuticle not only improves the appearance of your nails, but helps polish adhere better and prevents lifting at the edges. Sally Hansen Gel Cuticle Remover does exactly what it says on the tin - by the time I've applied it to my 10th nail, it's time to remove it from the first. 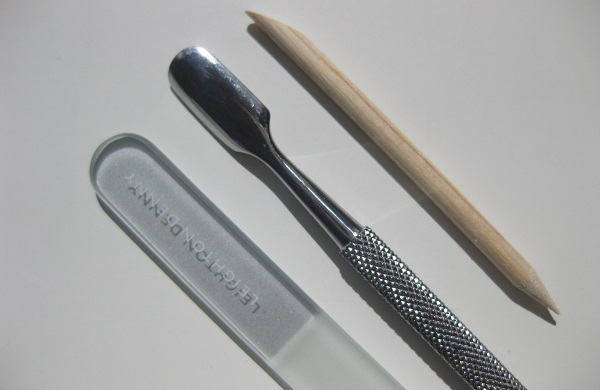 Wipe off any excess, then go in with a cuticle pusher or orange stick to gently push back the cuticles for a clean finish. Cuticles are important for strong healthy nails, so treat them with TLC and don't chop them off! Always file in one direction to avoid breakage and weakening - a glass file is the most gentle. I've had a Leighton Denny one (from M&S) for years and it's the best I've tried. You can lightly buff if you wish - just be careful not to overdo it. Once your nails are the shape you like, give them a quick swipe with alcohol or nail polish remover to remove any traces of grease or dust as polish adheres best and lasts longest on clean, dry nails. The quality of your base and top coat is more important for making your nail polish last longer than the polish itself. 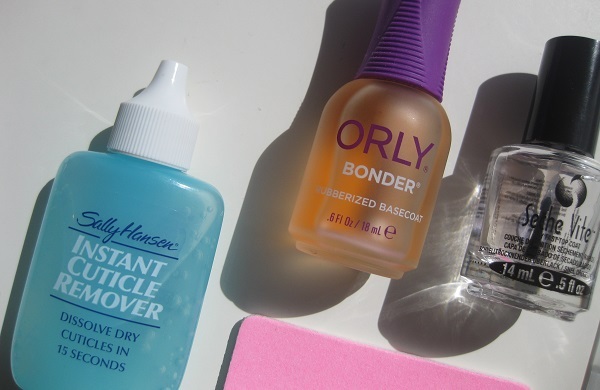 You can get away with a budget brand if it's sandwiched between a decent base and top coat. 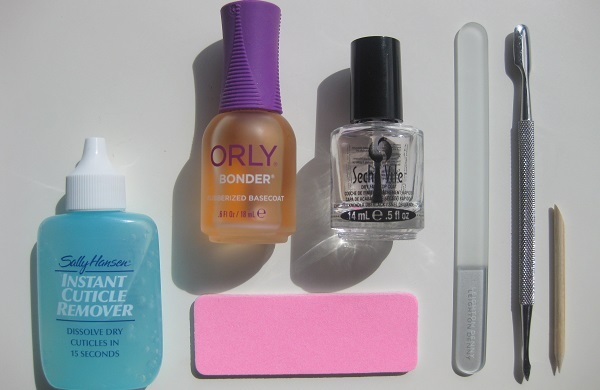 I've tried LOTS and in terms of longevity, the best I've come across to date are Orly Bonder and Seche Vite (Boots). Orly Bonder dries quickly leaving a thin, slightly tacky layer for colour to 'bond' to, which of course means it stays around for longer. Seche Vite has cult status for a reason - it can be applied when polish is still wet, dries quickly, leaves a gel-like glossy finish and helps your mani last longer. What's not to love? 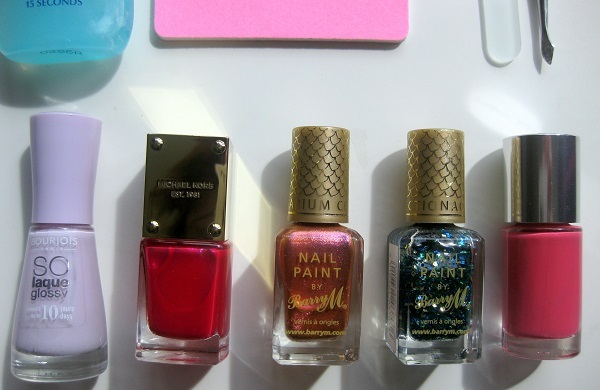 The nail polish itself is the fun bit of course - and how you apply it also impacts on longevity. 2-3 thin layers will last longer and look more professional than 1 thick coat. Avoiding cuticles will prevent colour lifting at the base of your nail and capping the edges. Bringing the colour slightly over and under the nail edge will help it last longer. Cap with your final base coat for an extra layer of protection on the colour. Take your time and have fun with it! Last but not least, avoid soaking your hands and don't forget to wear your Marigolds! Get a deal for a manicure in Belfast.